In third grade I became best friends with our school art teacher. She loved making art just as much as me, we bonded over shading and mixing paint. As a kid – this was the first ‘real’ artist I knew! I found her chunky, handmade jewelry to be inspiring. I’d stay after school and help her organize all the art supplies – I loved sorting all the colorful yarn and shiny beads. I have to laugh about it now. A minimalist at heart, I still hoard bags full of beads and textured yarns. 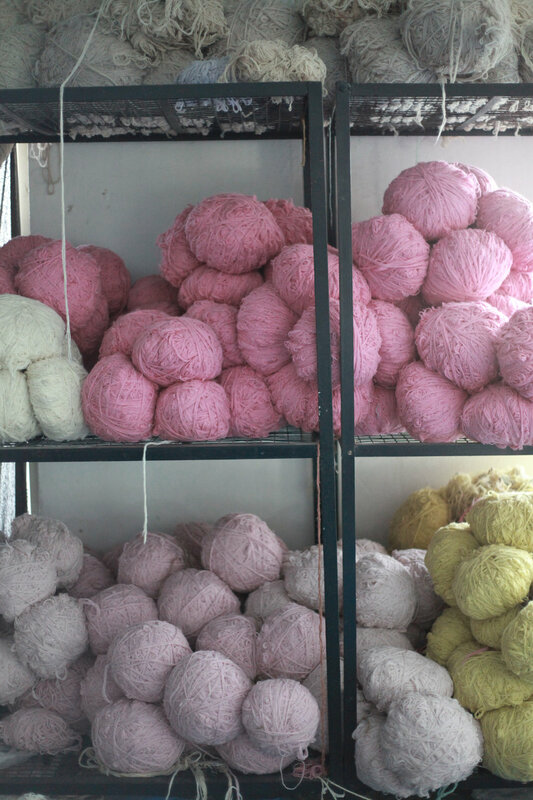 I recently went to India to visit a few artisan groups for bunglo, I was in heaven at the rug manufacture! Bundles of colorful yarn – rooms full to the ceiling! I could’ve made a little nest and lived there forever… here are some highlights from our trip! 9 year old me would’ve loved this place!